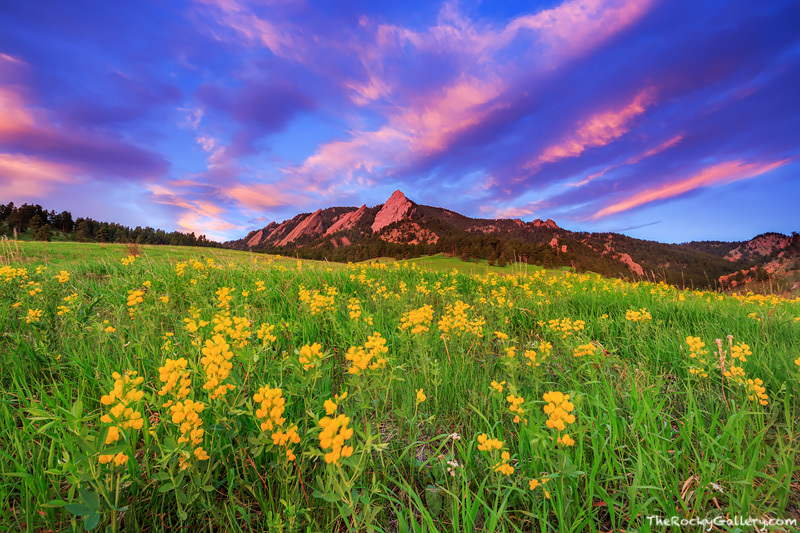 Spring in Chautauqua Meadow is a special time of year. Chautauqua Meadow errupts with wildflowers as the a long winter abates from the Colorado Front Range. A stunning sunrise unfolds over the iconic Flatiron formations while Golden Banner covers the slopes below the Flatirons of Boulder. Photo © copyright by Thomas Mangan.